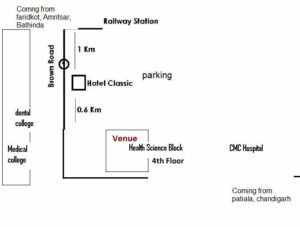 The CMCL-FAIMER Regional Institute (CMCL-FRI), based at Christian Medical College, Ludhiana, India, is a two-year fellowship program for health professions faculty who have the potential to improve medical education at their schools. 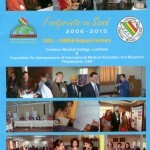 Approximately 16 fellowships are offered each year. The fellowship is designed to teach education methods, scholarship, and leadership skills, and to develop an active, supportive professional network among educators. All the applicants have been intimated about status, pls check spam/junk folder. Note:Change of institute after selection will lead to cancellation of selection as institutional profile & support is also considered during selection. Hence, any change of institute should be promptly intimated to us. Travel to Ludhiana: Ludhiana is well connected by trains from all major cities of India. The most convenient is Shatabadi express in the morning as well as in the afternoon. There is also AirIndia flight from New Delhi to Ludhiana on alternate days, but it is frequently cancelled in the winter season whenever there is fog. You can also take flight to Chandigarh and than a taxi (Uber, Ola-book by app after landing, Rs 799-1500). It is apprx 100 kms and takes 2 hours. or on his/her behalf will lead to disqualification of the application. To apply to CMCL-FRI, please click here. To request more information on the program via e-mail, please click here. 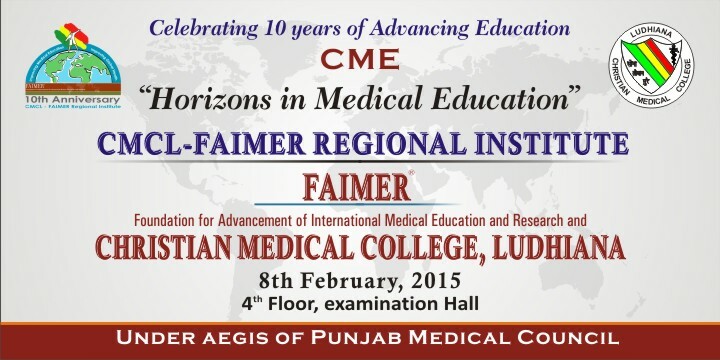 CMCL-FRI is sponsored by the Foundation for Advancement of International Medical Education and Research (FAIMER®). 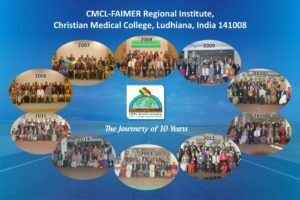 By working to advance health professions education in India, CMCL-FRI supports FAIMER’s mission of improving global health by improving education. Dr. Tejinder Singh, awarded NBE Excellence Award (Eminent Alumnus) by Hon. Vice President of India. 2014 (2018). Dr. Dinesh Badyal, was awarded Masters in Health Profession Education (MHPE) with Merit by Keele University, UK (2018). Dr. Dinesh Badyal, published second edition of his book “Practical Manual of Pharmacology” (Jaypee Publishers). Dr. Dinesh Badyal, delivered prestigious Prof. G. Achari oration, at 49th Annual Conference of Indian Pharmacological Society held at PGI, Chandigarh in October, 2016. Dr. Dinesh Badyal becomes Senior Editor, Indian Journal of Pharmacology. Dinesh Badyal, was awarded the prestigious “Rajiv Gandhi Gold Medal Award” by Global Economic Progress & Research Association (GEPRA). 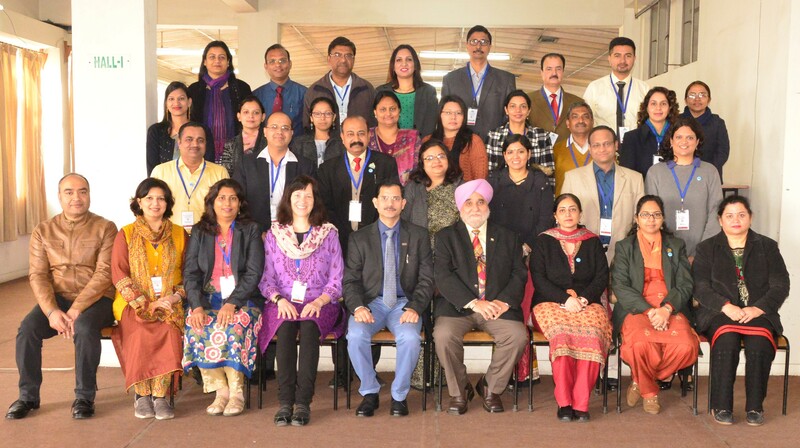 Dr. Tejinder Singh conducts 15th workshop on Student Mentoring at SIMSRC, Bengaluru in January 2015. Dr. Tejinder Singh appointed Adjunct Visiting Professor at Manipal Academy of Professional Development. The centre conducting their 19th Basic course in Medical education in Sept, 2017. 5th advance course was conducted in Sept, 2017. 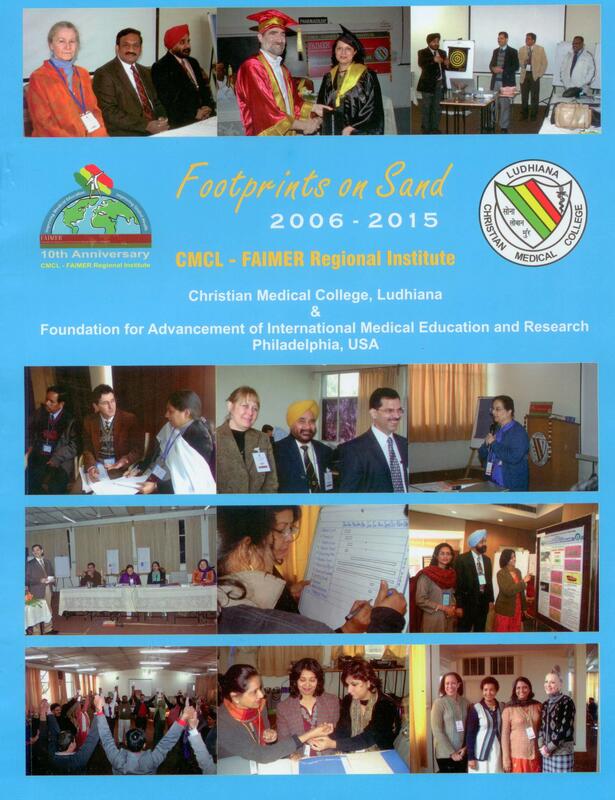 The book reflects the journey of 10years of CMCL-FAIMER institute and its fellows.